Ready to see who is winning? Check out the links to see the leader board. Also, enter to win a free Fitbit Charge. And trust me, you want this fitness tracker. It has been a great tracker! This week started off with GREAT results using my Fitbit Charge! For the first 3 mornings of the week, I had 6,000 steps by 10am. But what about the weekly challenge? 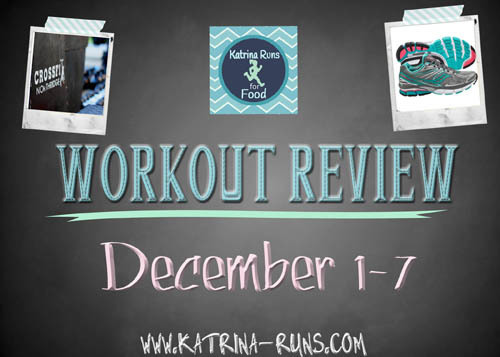 I did 2 different workouts this week that are NOT my usual running, walking, or strength circuits. 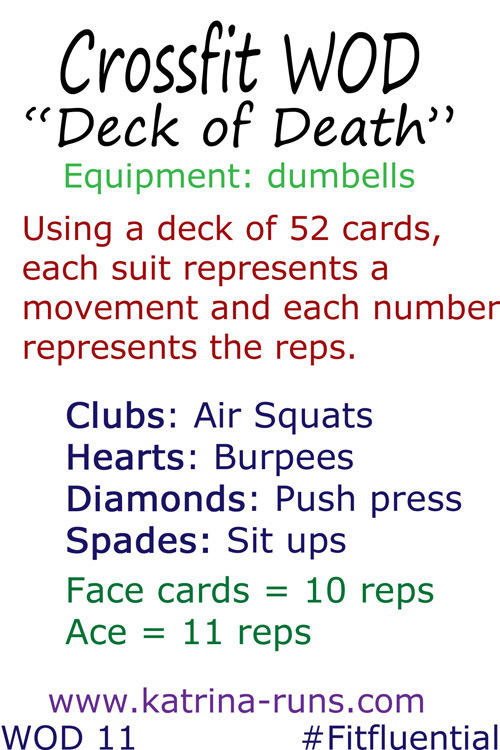 One is this “Deck of Death” which involves a deck of cards and a lot of water. My other workout was a hill repeat workout on the treadmill. Both of these were definitely a change from the usual. But then the icky feeling and fever started and I spent the morning on Thursday at the doctor trying to plead my case that since I had the flu shot, I DIDN’T have the flu. And, well, I did. I also had a major sinus infection which required a hefty dose of good stuff in a shot. My Friday steps were from walking and frantic cleaning as the shots wore off. My sleep was very restless Thursday night, too. I struggled hard to get my 10K steps over the weekend. Here is how my week looked. Even with the flu, it was one of the best weeks using my Fitbit. This has been such a fun challenge with helping my team EAST COAST show that we are the most active. One more week to go! This post is sponsored by the Shape/Men’s Fitness FitBit Charge Challenge. I think that is one oof the so much vital info for me. An arrest for driving beneath the affect may be traumatic. At this time it appears like WordPress is the best blogging platform out there right now.